With a score of 94 percent for Adult Occupant Safety, it’s the highest scoring vehicle from Jaguar or Land Rover to date. For those with young passengers in the back though, its 87 percent score for Child Occupant Safety means it is the latest Land Rover to be awarded a perfect score following the Range Rover Velar and Land Rover Discovery. This combination of features ensured the new Evoque received the full five-star rating in the toughest Euro NCAP testing program to date. ClearSight Ground View technology is also available, effectively making the bonnet invisible by projecting camera imagery onto the upper touchscreen to show the driver a 180-degree view under the front of the vehicle. This is useful when negotiating difficult parking spaces, navigating high city center curbs or tackling rough terrain. 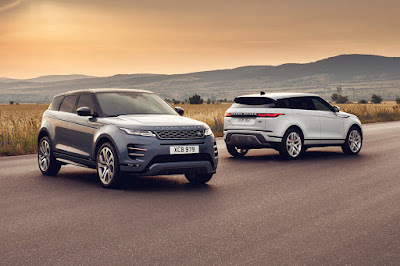 The 2020 Range Rover Evoque arrives in the Philippines by the middle of the year.